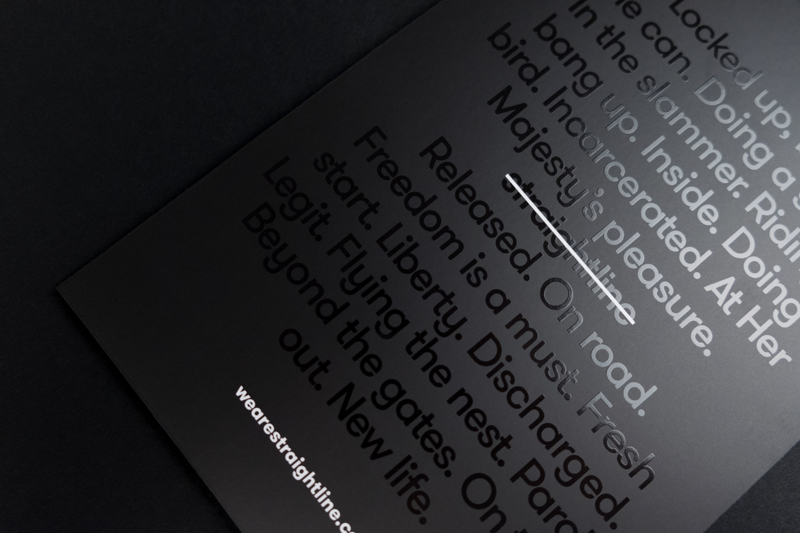 Totalcontent | Straightline poster stories. Home » blog » Straightline poster stories. Straightline is a new app and website from the Prison Radio Association. It gives people recently released from prison access to the PRA’s award-winning radio and video content, helping them to adjust to life on the outside. Cant read this? Just click on the image and a larger, more readable version will pop up. We were asked to come up with concepts and copy for a series of posters to advertise the service. 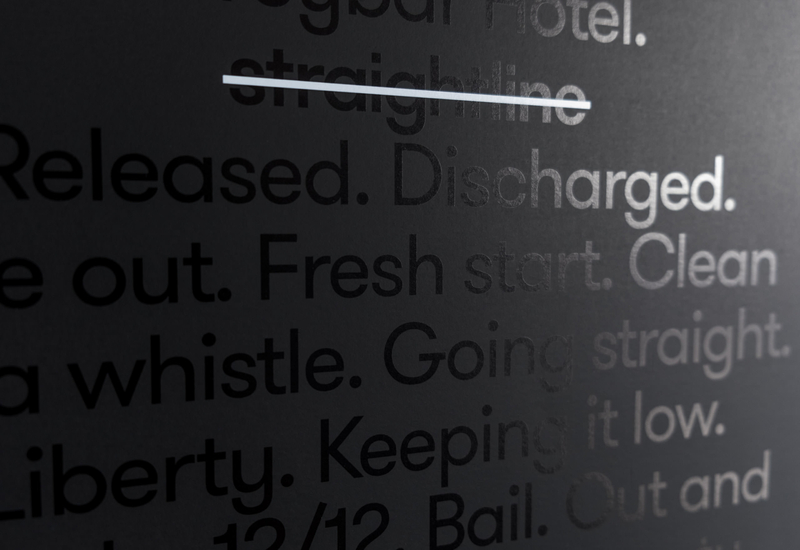 All we had to go on was that the words would be printed black on black, and the word ‘straightline’ would appear right in the centre, with a white line running through it. Plus the amount of copy before and after the word ‘straightline’ needed to be exactly the same. We responded with two mirrored 60-word mini stories, presenting different realities. The first section painted a bleak scene of a life gone wrong after prison. The second part a more optimistic picture of someone successfully going straight. 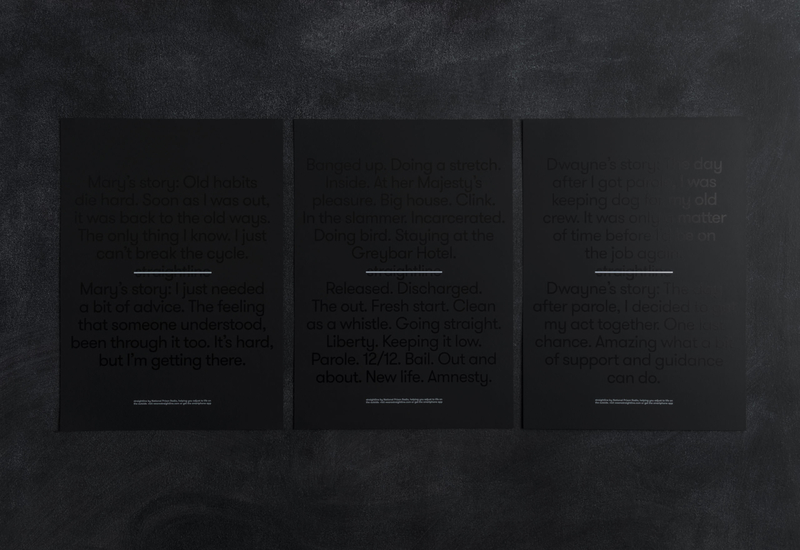 For a third poster, we produced a more expressionistic piece, featuring words of incarceration contrasted with words of freedom. They were all beautifully printed by WithPrint.